Designer Notes: Mira offers a transitional design that is equally suitable for formal, casual, conservative and cutting-edge offices. The refined appearance masks a rugged construction that will stand up to years of heavy use. Modular, non-handed components maximize desk and reception station flexibility while cleverly engineered table bases enhance technology integration. Mira's Medium Cherry or Espresso Walnut finish provides an elegant and classy look for your executive desk and office storage cabinets. When designing an office interior for maximum performance, versatility and style, take a close look at Mira. 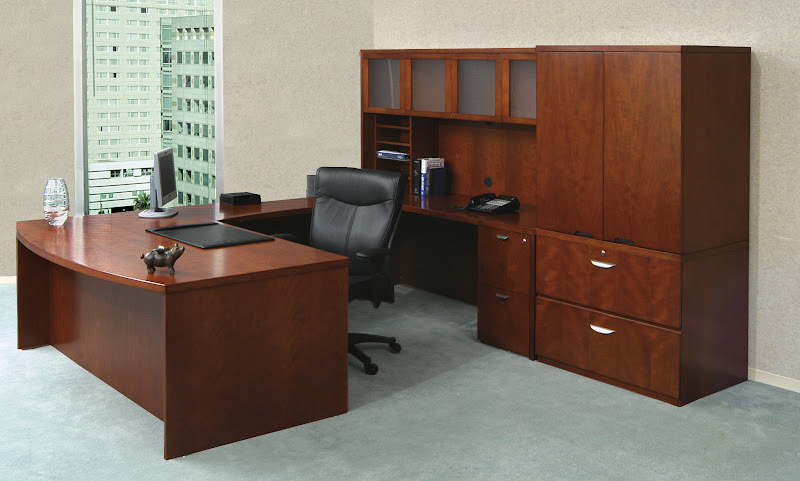 This discount office furniture is complete modular series of executive desks, lateral file cabinets and office storage cabinets. 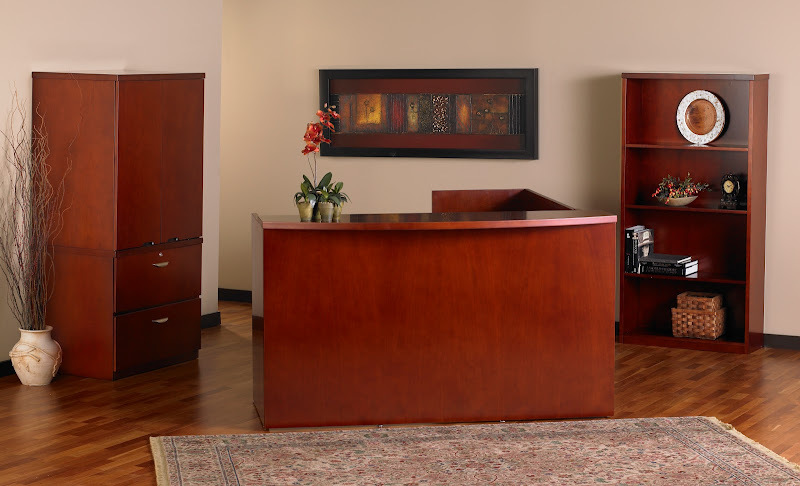 We will be happy to help you design a configuration to fit your office furniture needs. Modular and non-handed construction for flexibility and versatility. Full cabinets available in both Box/Box/File (BBF) and FIle/File (FF) configurations. Available in 22" and 28" depths. 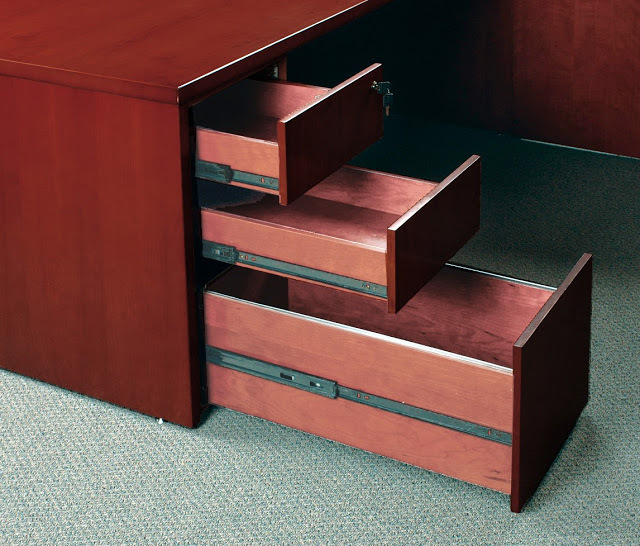 Full-extension, ball-bearing suspension provides quiet and smooth drawer operation. 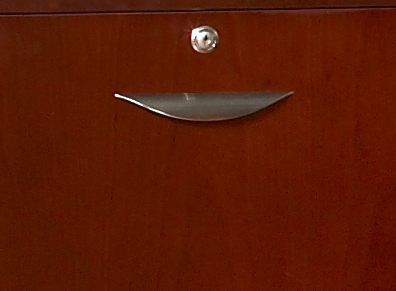 Central locking on all drawers with random or key alike options. 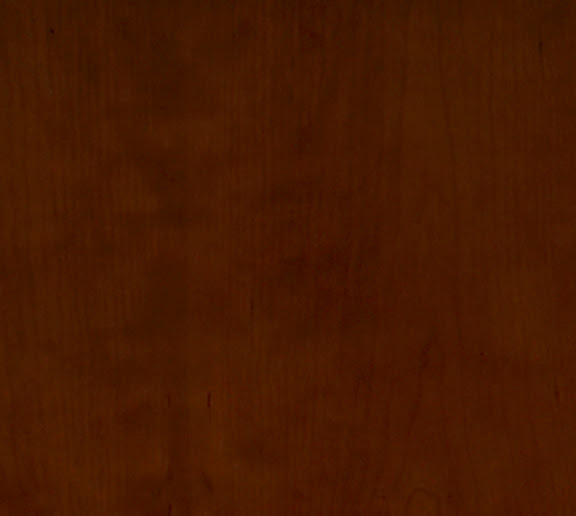 Wood veneers are book matched and highlight the natural beauty of the Cherry or Walnut grain. All floor supported units have adjustable glides for leveling on uneven floors. 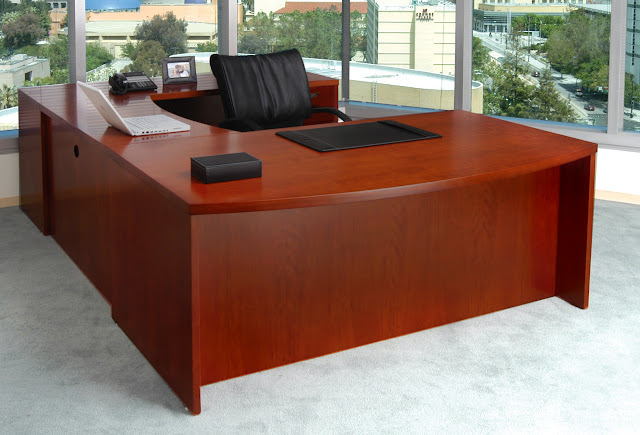 Desk, credenza, return and conference tops are 1 1/2" thick with flat, hardwood edge. Mira Bow-Front Desk, Bridge, Credenza, Hutch with glass doors, Pedestal File and Lateral File with Wardrobe Unit in Medium Cherry.Shown with MercadoŽ Leather Series Chair. Mira Reception Station with L-Shape Return, Two-Drawer Lateral File, Convenient Wardrobe Storage Unit and Bookcase. All pieces in Medium Cherry. Mira Conference Table, Hinged Door Credenza and Presentation Board in Espresso Walnut. Shown with Mercado Leather Series AL Chairs.